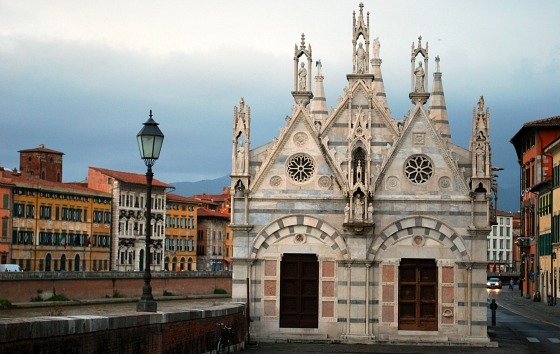 Set alongside the river, you’ll find this tiny church perched on the bank in central Pisa. 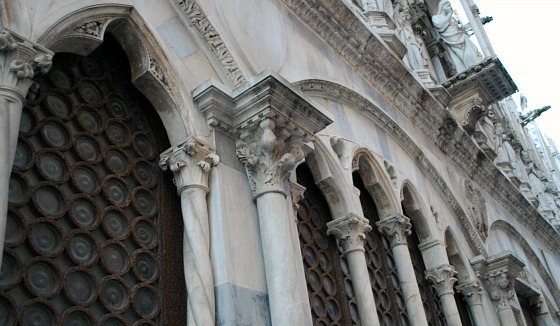 From the outside, it’s the gothic architecture that’s fascinating with carved images all over it. Inside, it houses a thorn which is said to be from Christ’s crown! The church dates back to 1230 and will only take you 20 minutes to visit, but we found it really interesting. This is an extract from our free Pisa City Guide. The tiny inside of the church is so much simpler than the outside, but it’s still enjoyable to have a look around. There’s no doubt though that the big attraction of the building is the gothic outside. Some say it’s one of the best examples of Gothic architecture in Europe! Also, don’t be too quick to just glance at the carvings. Instead, spend a little time pouring your eyes over all of the detail and you’ll find yourself wondering just how long it all took! 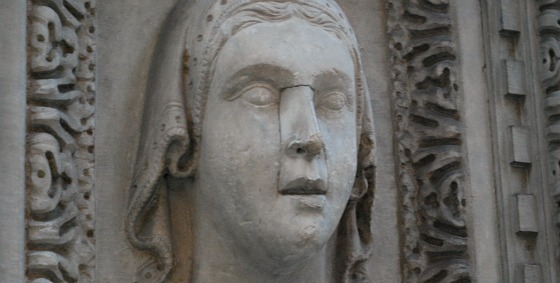 Even the ‘simple’ features, like the face below have a complicated carved border.